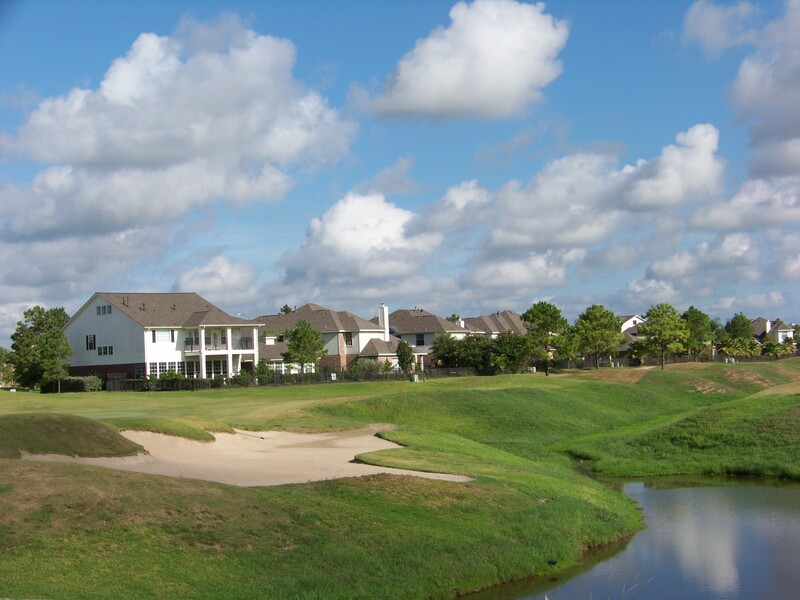 Home of the Houston National Golf Course, Stone Gate is an 1,800 acre master planned community. Located in northwest Houston and loaded with amenities many buyers are looking for. Those that are looking for a gated community featuring a stunning, 36 hole “Links” styled course with a 20,000 sqft club house, lakes and more should look in Stone Gate. Started in 1999 with builders such as Westin Homes, Deerwood Homes and First Texas Homes all were designed with broadband technology, a first of its kind in 1999. The last of the 1,836 homes were built on the golf course in 2008. Stone Gate homes for sale in 2015 sold in the $165,000-$400,000 range. Most of the homes averaged 2,500 to 3,500 sqft and feature 4 bedrooms as well as the latest energy saving features. Much of Stone Gate features gated enclaves that are monitored 24 hours. Once inside, you will notice many cul-de-sac and curvy streets with homes backing to the golf course or lakes. Amenities in Stone Gate include a full service recreational center, a Jr. Olympic pool, a covered basketball pavilion, volley ball courts and the Houston National Golf Course that features a driving range and the Back Deck bar and grille. Stone Gate is located just south of Highway 290 along Barker Cypress. In addition, Highway 99, the Grand Parkway and the Sam Houston toll road make it easier to commute in and out of the area. The Cypress-Fairbanks school district offers Lamkin and Birkes Elementary, Arnold Middle and Cy-Fair High Schools. Around Stone Gate is a large selection of dining, shopping and entertainment options including the Boardwalk in Towne Lake, Houston Premium Outlet Mall, LA Fitness and Cinemark 12 Cypress movie theater. In addition, the North Cypress Medical Center is close by for emergencies. Don’t forget the three grocery stores near by. HEB, Randals and Kroger Market and within 5 minutes of Stone Gate. To schedule a tour of Stone Gate homes for sale or to receive price information on your home, please contact Mark McNitt at 832-567-4357.